a. Every reliable literary source before 100 AD uses the longer LXX chronology and not the shorter Masoretic. 2. 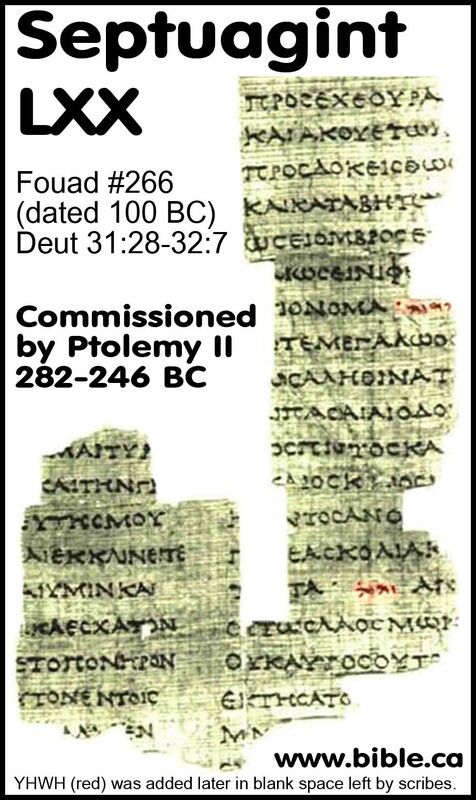 Both Philo and Josephus were using the extant Hebrew manuscript of their day which followed the longer LXX chronology. a. This is a huge finding because they were NOT using the Greek Septuagint used in Synagogues as their source text, but the Hebrew Tanakh used in the Jerusalem Temple. b. 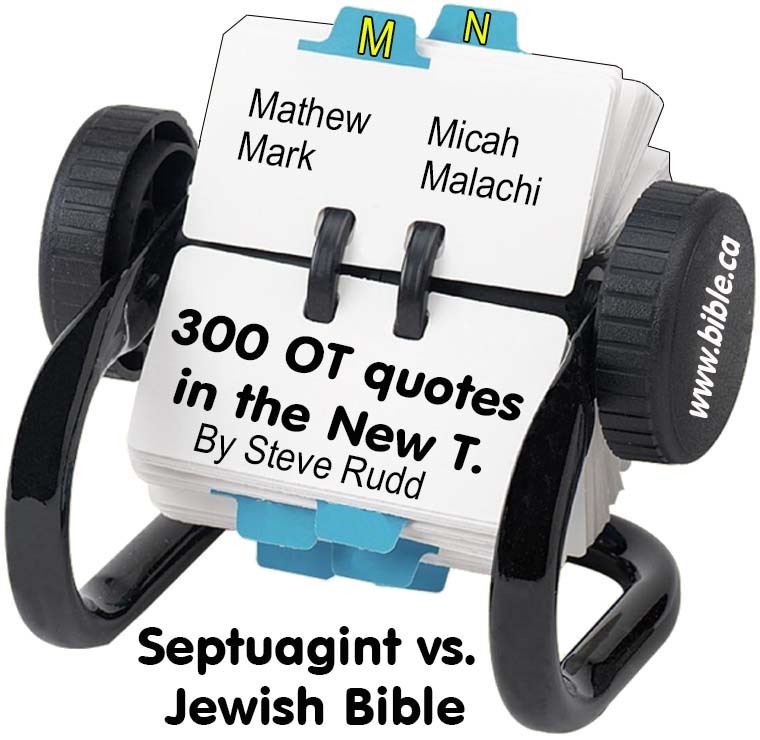 In fact, many scholars make the superficial (and wrong) conclusion that Josephus and Philo used the Septuagint BECAUSE they have the longer chronology. c. The correct conclusion is the Philo and Josephus were using the Pre-Masortic Hebrew Text when the numbers agreed with the Greek LXX. 3. The literary sources below become the primary proof that the Jews around 160 AD in Zippori changed the Hebrew text for anti-Christian theological reasons. 4. 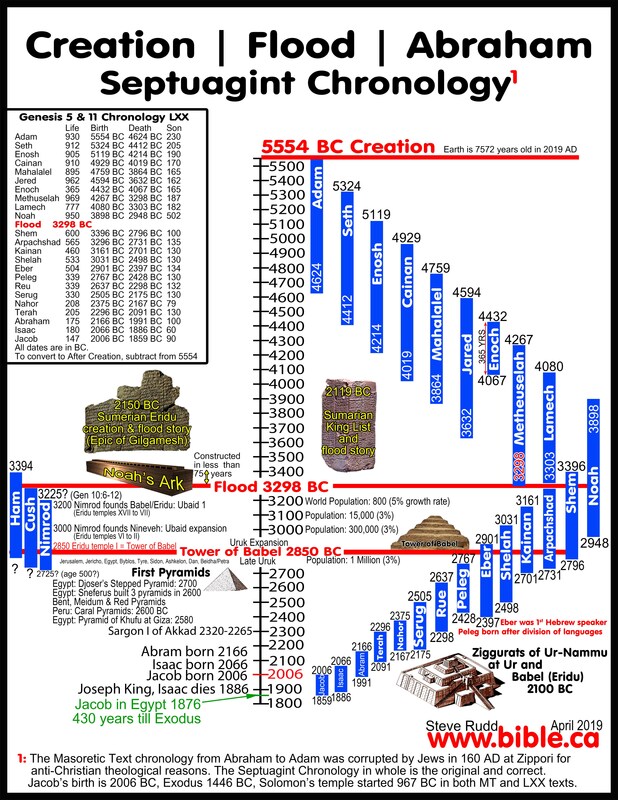 Today the Septuagint contains the original chronological numbers for the age of the earth at 5554 BC. a. Jews today believe that Shem is Melchizedek because the Masoretic chronology has Shem living down past the birth of Jacob. It is impossible for Shem to be Melchizedek using the Septuagint chronology because Shem dies 600 years before Abraham is born. b. 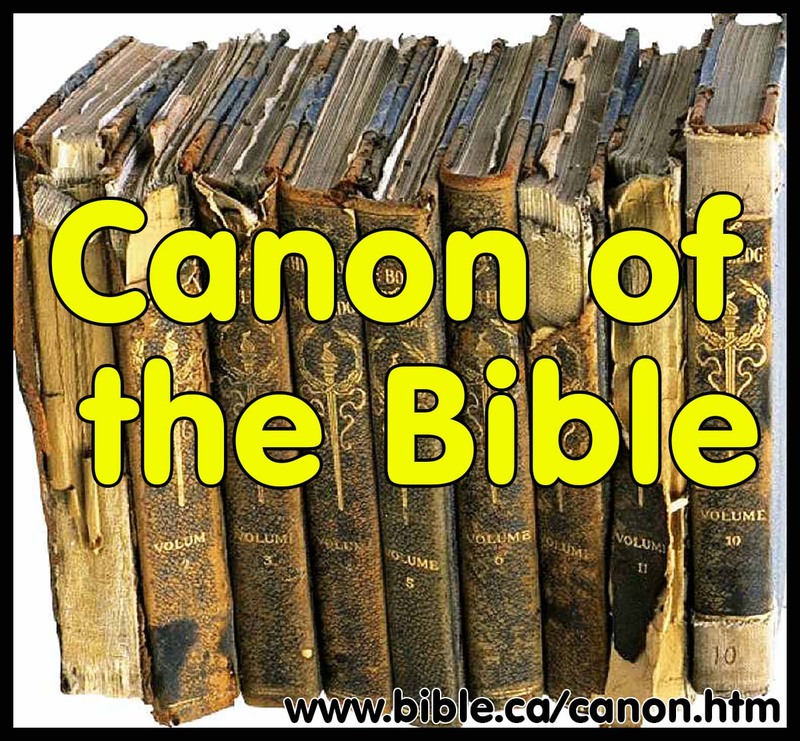 If we can find a single ancient literary source that shows that the Jews believed Shem was Melchizedek, this would falsify the theory that the Jews corrupted the Hebrew chronologies of Genesis 5, 11 at Zippori in 160 AD. c. In fact, just like the literary sources above all validate the longer LXX chronology, so too do all the literary sources refute the MT chronology because none of them equate Shem with Melchizedek. 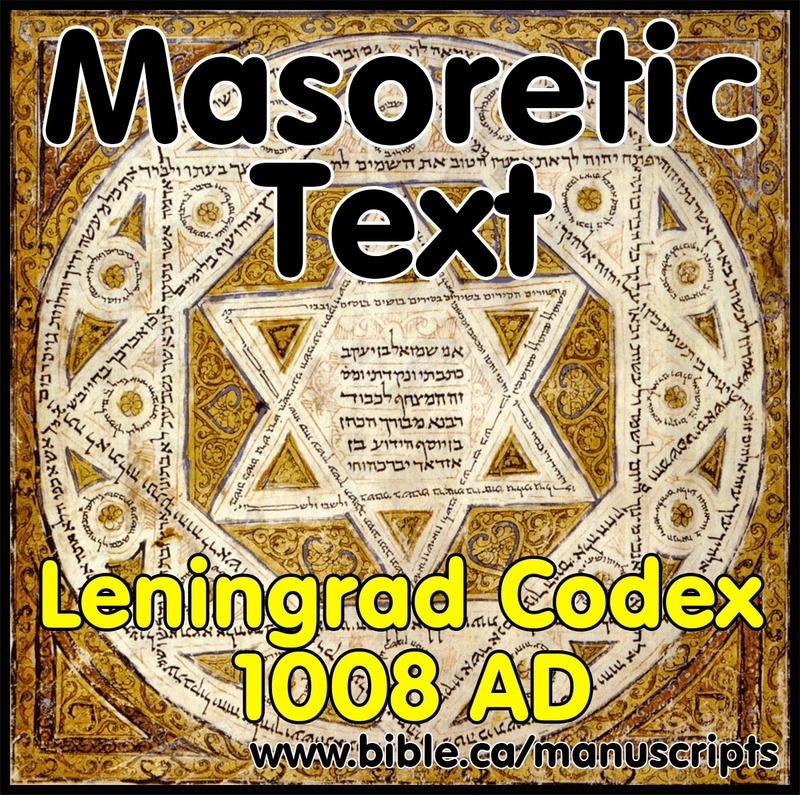 d. 100 BC: The earliest Jewish literary sources make no connection of Shem was Melchizedek as witnessed in the Dead Sea Scrolls: 1QGenesis Apocryphon. e. At the time of Christ, Jewish messianic expectation was of the arrival of Melchizedek as a “heavenly being” not Shem as witnessed in the Dead Sea Scrolls: 11QMelchizedek. 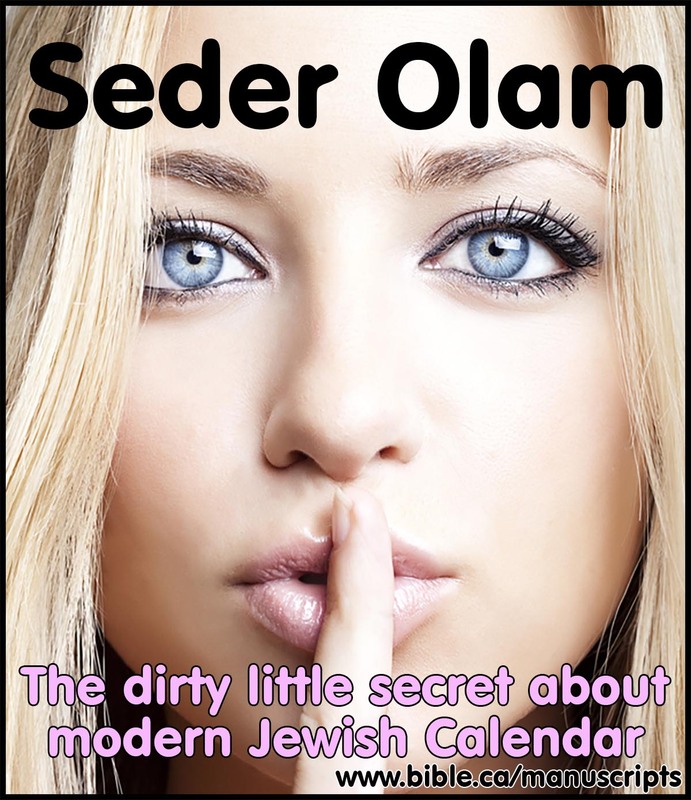 g. The Seder Olam again, is the first reference in history and was the basis for corrupting the pre-Masoretic text in the chronologies of Gen 5 and 11. 1. 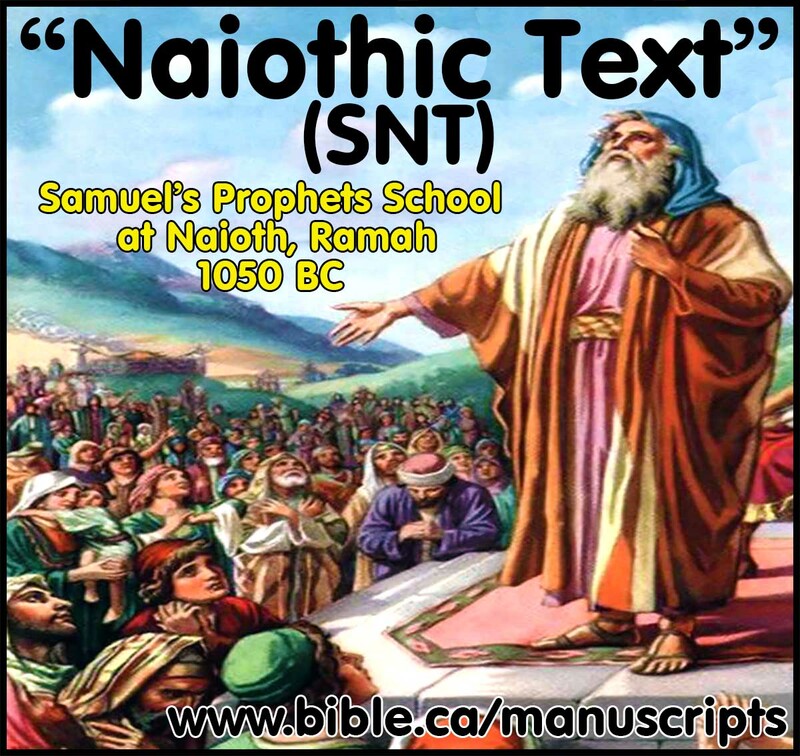 Lamech’s begetting age for Noah in the LXX reads 188 but this is a scribal error and the correct age Lamech’s son Noah was born is in his 182th year in the MT which is the autograph reading. 2. Japheth was firstborn when Noah was 500, Shem second-born when Noah was 502 and Ham the youngest. We know for certain that Shem was not firstborn as per Gen 11:10 and that Ham was the youngest as per Gen 9:24 which obviously makes Japheth the oldest. In Gen 10:21 English translators are split on which of Shem and Japheth were the oldest. 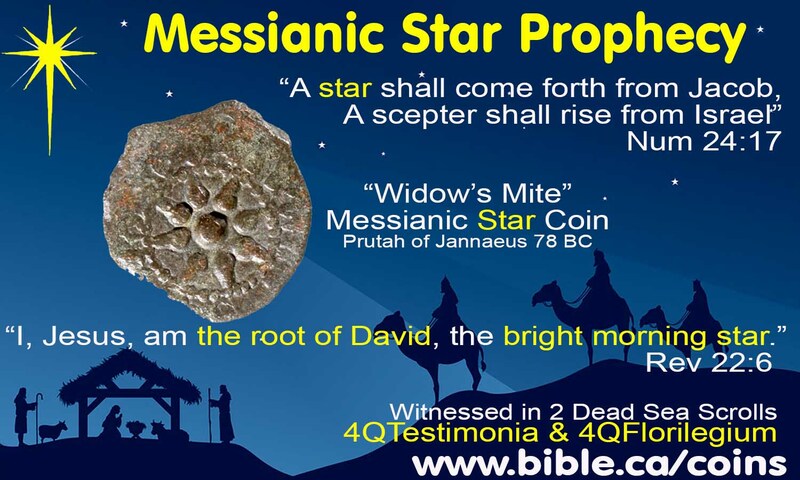 The Hebrew in the MT and SP could mean either that Japheth or Shem were the older brother. The Greek LXX calls Japheth “the great” which may mean he is older than Shem or that he was older and/or more famous than Shem. 3. Gen 9:28-29 says Noah lived 350 years after the flood but for a total life of 950 years. Genesis 7:6 says the flood occurred when Noah was 600 years old. 4. Creation to birth of Shem in Noah’s 502nd year as per Gen 11:10. 5. Flood occurred in the 600th year of Noah or 98 years after Shem was begotten when Noah was 502 years old. 6. 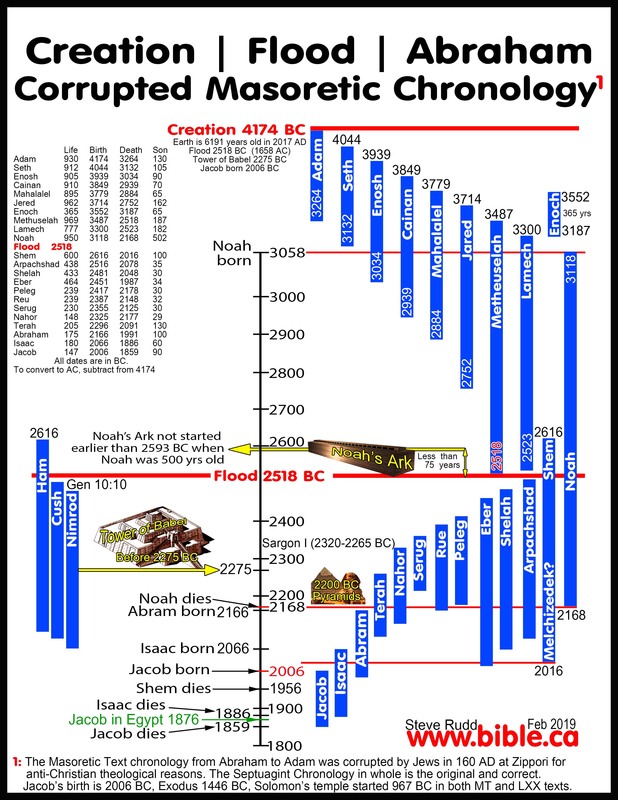 Because Jews have wrongly believed from 300 BC to the present that Terah was 70 years old when Abraham was born instead of the correct begetting age of 130 you must add 60 years to the MT flood date of 2558 BC to arrive at the actual MT flood date of 2518 BC. 1. Shem begat Arphaxad at age 100 which was two years after the flood. 2. Christians know from Acts 7:4 that Abraham was born when Terah was 130 years old not 70. This is an interpretive variance, not a textual one in spite of the fact that Jews from 300 BC to the present wrongly maintain that Terah was 70 when Abraham was born. 3. Total years from birth of Arphaxad to birth of Abraham in 2166 BC. 4. Creation date is derived by adding the begetting columns in both charts to the date Abraham was born in 2166 BC. 5. The Jews from 300 BC down to the present day wrongly set the age of Terah at the birth of Abraham at 70 which calculates an age of the earth at 4114 BC. 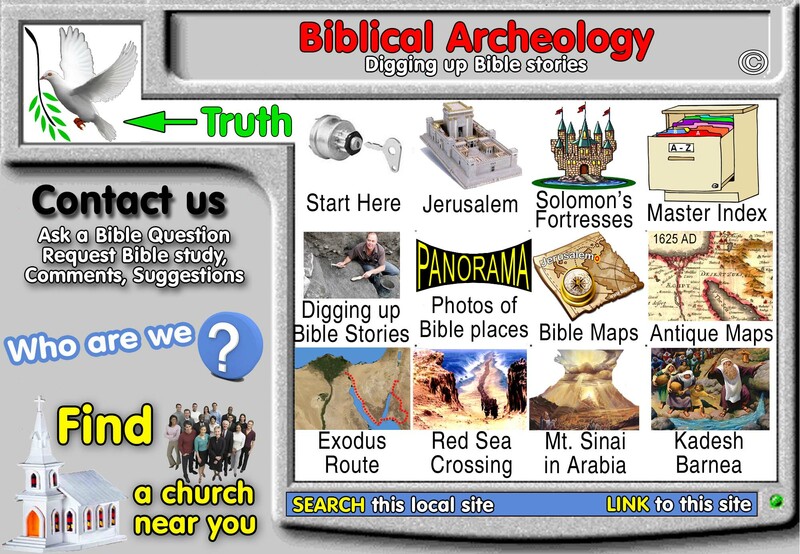 The truth is that Terah was 130 years old, which calculates age of the earth according to the MT at 4114 BC + 60 = 4174 BC. 6. 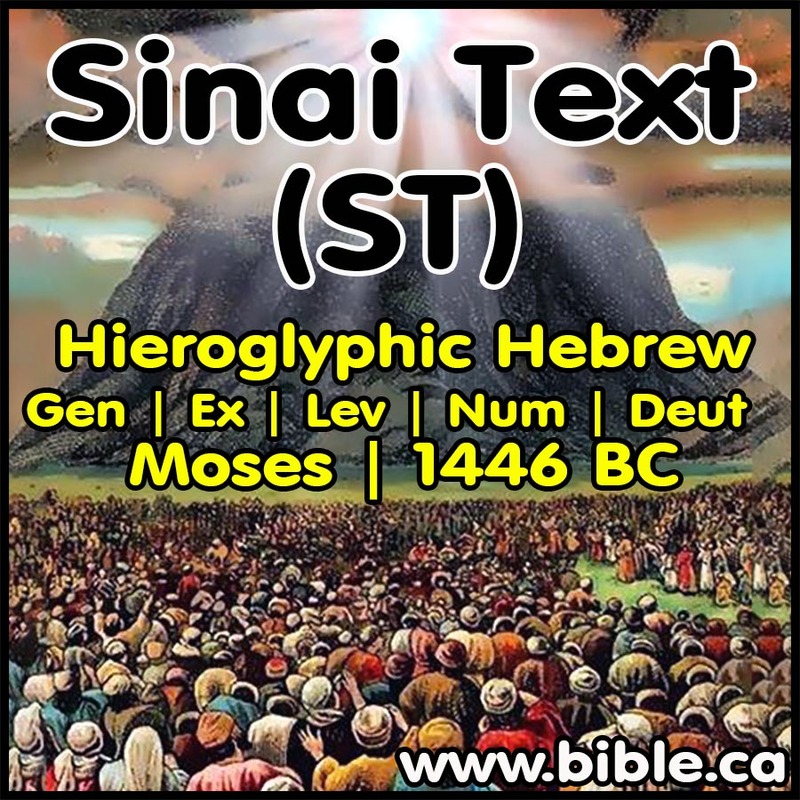 Flood date is calculated by subtracting [total Gen 5 years] from [creation date] and adding [98 years] because Shem was born in Noah’s 502nd year and the flood occurred when Noah was 600 years old. 7. Because Jews have wrongly believed from 150 BC to the present that Terah was 70 years old when Abraham was born instead of the correct begetting age of 130 you must add 60 years to the MT flood date of 2458 BC to arrive at the actual MT flood date of 2518 BC. 8. 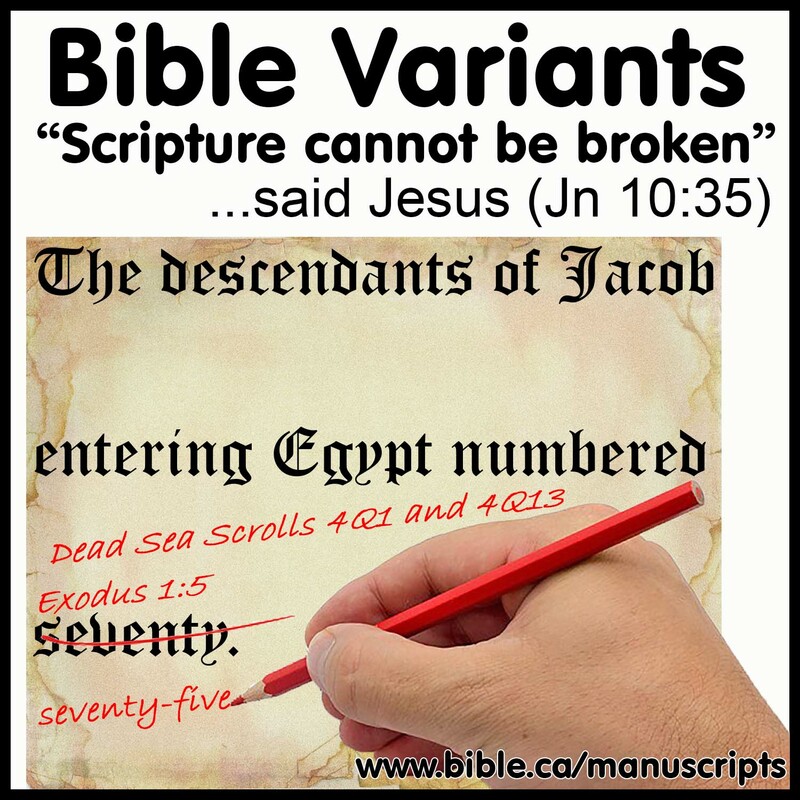 While the numbers in the MT show that Terah was 130 when Abraham was born and that Abraham left Haran at age 75 after Terah died at age 205, the Jews incorrectly interpreted the birth of Abraham when Terah was 70. What this meant in their interpretation, was that Tarah continued to live in Haran for another 60 years after Abraham left for Canaan. This was always problematic until the Christian Bible explicitly stated that Abraham did not leave Haran until after the death of Terah at age 205 (see Acts 7:4). The Samaritans fudged the numbers for the life span of Terah from 205 down to 145 in order to have Terah die before Abraham left Haran. So in the Samaritan corrupted chronology they incorrectly have Abraham born when Terah was 70 and Terah dying at age 145 when Abraham leaves for Canaan at age 75. But today we are certain that Terah was 130 years old when Abraham was born which creates a huge problem for the Samaritan Pentateuch because this means Terah dies when Abraham is only 15 years old and now Abraham continues to live in Haran for another 60 years after Terah dies before he leaves for Canaan. This is clear proof of a corrupt and fabricated Samaritan chronology because the prevailing FALSE view of Jews as far back as 150 BC to the present, is that Terah was 70 when Abraham was begotten. 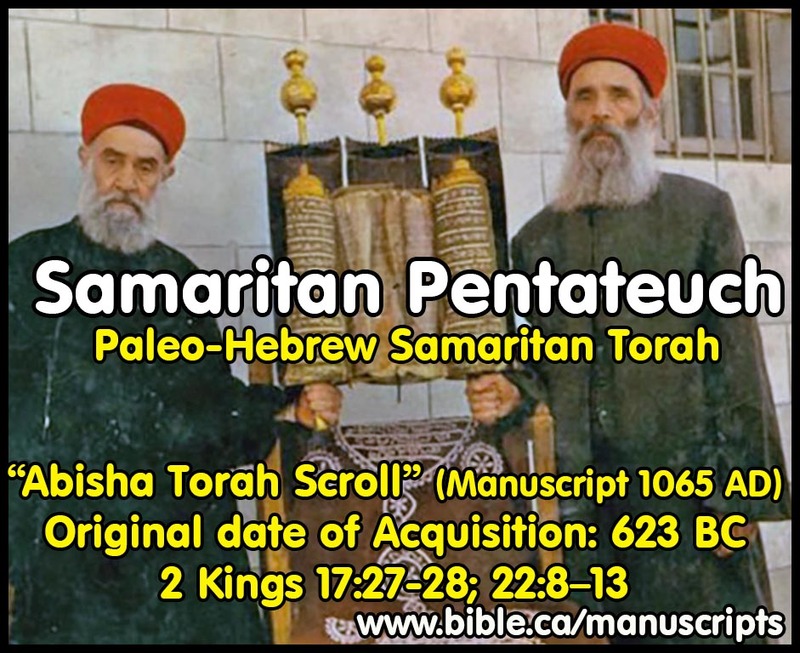 Had the Samaritans just left the text alone, they never would have been caught red handed with irrefutable proof (Abraham was not 15 years old when Terah died), that they deliberately corrupted the Samaritan Pentateuch chronology in Gen 5,11. 9. Life numbers (total years lived) are not in the text of either the LXX or MT. However they are added in the SP. For example, in Gen 11:11 the Samaritan Pentateuch adds the words: “All the days of Shehm [Shem] were 600 years and he died”. The SP adds the total life years lived for each person in the Gen 11 chronology. This is a corruption of the original text. All dates are in BC. By Steve Rudd: November 2017: Contact the author for comments, input or corrections.